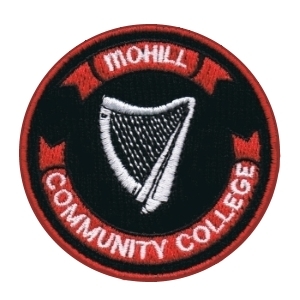 Mohill Community College is a co–educational school formed as a result of the amalgamation of Marian College (1949 – 2008) and Mohill Vocational School (1932 – 2008). Both schools have a long tradition of excellence in the provision of education which carries forward into the new Community College. The College is under the trusteeship of Mayo, Sligo and Leitrim Education and Training Board (ETB) and Mercy Sisters Western Province. It is managed by a Board of Management (BOM) and funded by the Department of Education and Skills (DES). The stated Mission of Mohill Community College is to challenge its students to pursue excellence, enjoy learning and to achieve their full potential as individuals and citizens. There is nothing new in this Mission Statement – the Mohill schools have always been centres of excellence. Our role as educators is a continuation of the vision of the men and women who, since the 1930s, dedicated themselves to second-level education in and for Mohill and the surrounding parishes. The monumental task they set themselves in a time of little wealth, and their perseverance and success, bears testimony to the value they placed on education. The ideals of the vocational education system, preparing young people for life and for work, was no different to the ideals and ethos of the Mercy school, preparing young people for earth without unfitting them for heaven, to quote the Mercy Congregation Foundress Catherine McAuley. Leitrim may have the lowest population of any county in Ireland but has had one of the highest, if not the highest, representation in Third Level education. The Mohill second level schools, with their dedicated teachers and excellent results, have contributed to this statistic, and as one school – Mohill Community College – we will continue to do so. We strive for that consistent excellence, offering a comprehensive range of subjects, always attentive to gender equity, and to the special educational needs of our students. On us is placed the shared responsibility, at this moment in history, to continue to develop the vision of our predecessors. Mohill Community College opened in September 2008 following the amalgamation of Marian College and Mohill Vocational School. Initially operating from two sites, the school community transferred to our new state-of-the-art building on 9th March 2009. Under the joint trusteeship of Mercy Sisters, Western Province and Mayo, Sligo and Leitrim Education and Training Board, the school is managed locally by the Board of Management. It is funded by the Department of Education & Skills and operates within the regulations and guidelines set down by that Department. An active Parents’ Council and Student Council further support the work of the school in the delivery of a high quality education that endeavours to meet the needs of each student. The school was officially opened by Minister Batt O’Keeffe, TD on Friday, 5th February 2010. Mohill Community College commits itself to creating an inclusive, caring and disciplined environment, promoting a respect for diversity of culture and fostering a spirit of mutual respect among students and staff. The College, in partnership with Parents/Guardians and the wider community, will challenge its students to pursue excellence, enjoy learning and to achieve their full potential as individuals and citizens. To provide a broad diverse curriculum relevant to the needs of its students of all abilities. To facilitate the needs of lifelong learning in an inclusive environment. To uphold equality with respect to access to and participation in College life. To respect and foster all aspects of the developing person: intellectual, physical, spiritual, moral, emotional and cultural. To help form confident, balanced, enterprising and self-reliant people, capable of contributing positively to society. To maintain a spirit of cooperation with and service to the wider community. To enhance the professional development of all its staff and staff welfare. To foster an awareness of and tolerance for diversity of traditions, values, beliefs and ways of life. The College follows the curricular programmes prescribed by the Department of Education and Skills which may be amended from time to time in accordance with Section 9 and Section 30 of the Education Act, 1998. The College depends for its funding and resources on the grants and teacher allocations provided by the Department of Education and Skills, and school policy in all areas must have regard to this funding and these resources. Students at Junior and Senior Cycle follow a core programme, with a number of optional subjects. Religious Education and Physical Education are part of the core programme for all students. The Principal allocates students to classes. Subject to sufficient demand and resources, the Board of Management reserves the right to determine on an annual basis the range and level of subjects. Students who do not sit internal examinations may be required to sit such examinations at an alternative time, before proceeding with their course. The Transition Year Programme is an optional year which provides students with an opportunity to develop life skills, interact with new subjects, and reinforce learning in core subjects, before committing themselves to the Leaving Certificate Programme. The Board reserves the right in relation to the above Programme to decide on the numbers entering the Transition Year programme on an annual basis. Students with poor disciplinary records may be refused entry to Transition Year. The Leaving Certificate Vocational Programme is an enhancement of the traditional Leaving Certificate. In keeping with the Education Act, 1998 and a commitment to the promotion of lifelong learning, the development of Post-Leaving Cert Courses and Adult Education is a priority. The composition of the Board of Management reflects the joint Trusteeship of the College – Mercy Sisters Western Province and Mayo, Sligo and Leitrim Education and Training Board. The Board of Management is a sub-committee of Mayo, Sligo and Leitrim Education and Training Board. The Board comprises of two parents, two teachers, three Mercy Trustee Representatives and three Mayo, Sligo and Leitrim Education and Training Board representatives. The Principal serves as Secretary to the Board. The inaugural Board of Management served from December 2007 – June 2010. In that time it oversaw the appointment of the Principal and Deputy Principal of the new college, the amalgamation of both schools, the transfer from split site to the new College building, the official opening of the building in February 2010. In addition, it supported the work of CEO, Mr. John Blunnie and Co. Leitrim VEC, at the same time supporting the Principal and Staff at this very important time in the life of the College. The amalgamation of VECs into regional Education and Training Boards took place on July 1st 2013. Co. Leitrim VEC amalgamated with Co. Mayo and Co. Sligo VECs to form Oideachais agus Oiliuna Mhaigh Eo, Shligigh agus Liatroma (Mayo, Sligo and Leitrim Education and Training Board). CE is Mr. Tom Grady (Acting). The Parents Association is not currently affiliated to any national body. All parents/guardians of students currently enrolled in the College are considered members of the Parents’ Association.